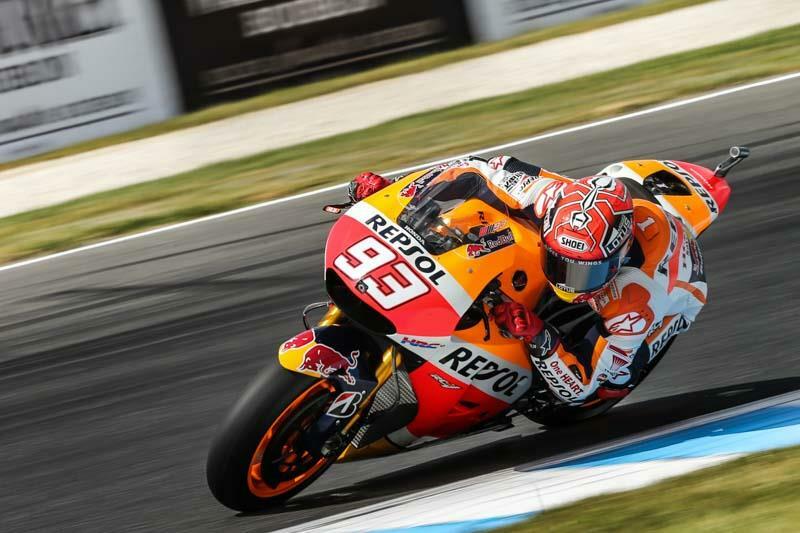 Marc Marquez took his sixth pole position of the year at Phillip Island and on a day where the field was incredibly competitive the level of dominance displayed was magnified. Marquez was three tenths faster than the field and with 1.2s separating the top 12 it's clear how exciting and competitive the race should be tomorrow. Andrea Iannone will start second on the grid having been able to follow Jorge Lorenzo on their final stints of the 15 minute session. Iannone and Lorenzo both set identical times but with the Italian having set a better second fastest time he took the second spot on the grid. Lorenzo was upset after the session but with Valentino Rossi seventh on the grid his displeasure will surely be reduced when he sees the potential for tomorrow's race.